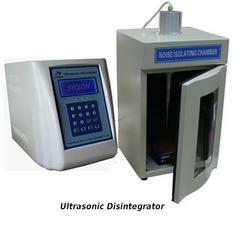 Having rich industrial knowledge, we are presenting a technically advanced array of Disintegrator Machine. The disintegrating milling machine (for partition/cutting of dry leaf & stem) is designed for high speed milling, cutting, grinding and pulverizing of hard particles, herbal, dry and wet material milling and especially suitable for herbal products. Tertiary crushing of soft and medium hard non-abrasive or medium abrasive materials with a crushing ratio of 10:1 max by impact of hammers against liner plate output available upto 60 Mesh (B.S.S.). Disintegrator Machine is used for Making Powder of Oil Cakes. Disintegrator 2500 mixing system will disintegrate, solubilize or disperse the largest of solids - up to 40" across - in a single operation, and in times you wouldn't believe. Riding on unfathomable volumes of industrial expertise, we are engaged in manufacturing and exporting an excellent assortment of Rapipol Extractor. 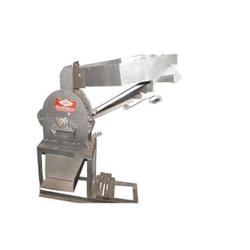 We are offering Coconut Disintegrator to our clients. Disintegrators are well designed hammer mills of simple and sturdy construction.
" We are 100% Export Oriented Company and NOT Entertaining Domestic Buyers". Available Capacity 60 To 2400 Kgs/Hr.